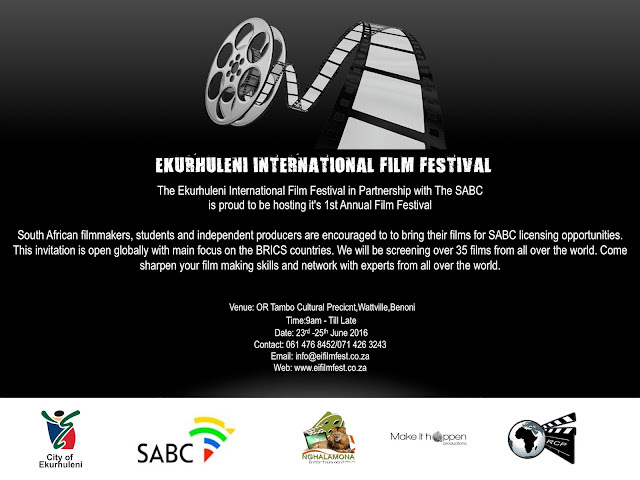 The purpose of the festival is to empower emerging local and international filmmakers. This will provide them with vital filmmaking skills; create networking opportunities with local and international broadcasters. The Ekurhuleni International Festival is initiated by Make It Happen Productions, Nghalamona Entertainment and Rhythm Cycle Projects. This is done in partnership with the Ekurhuleni Metropolitan Municipality: Arts, Culture and Heritage. There will also be a DNA wine tasting.